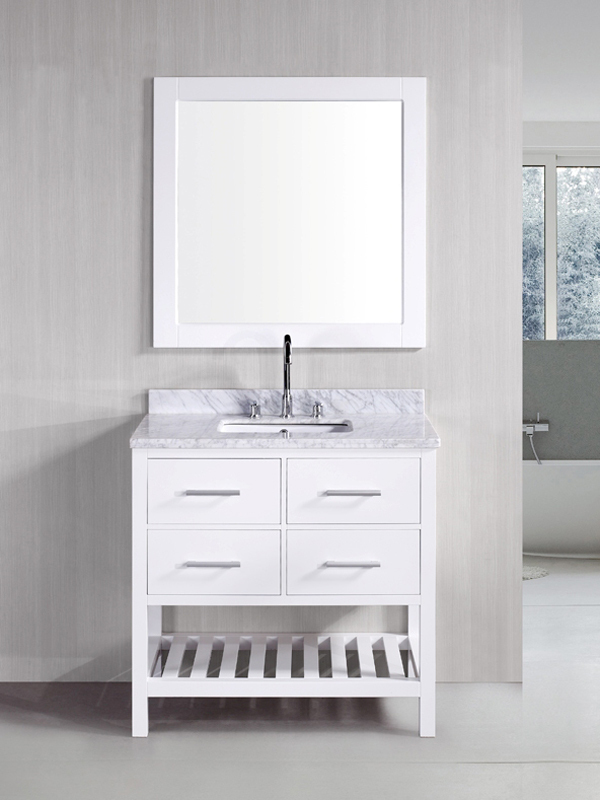 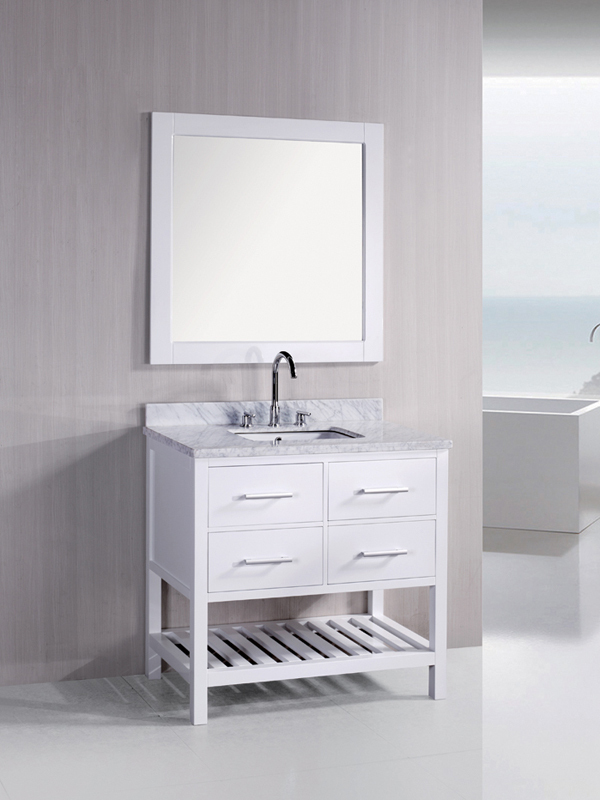 The London Single Sink Vanity sports a clean and simple contemporary design, making the vanity an excellent addition to your modern bathroom. 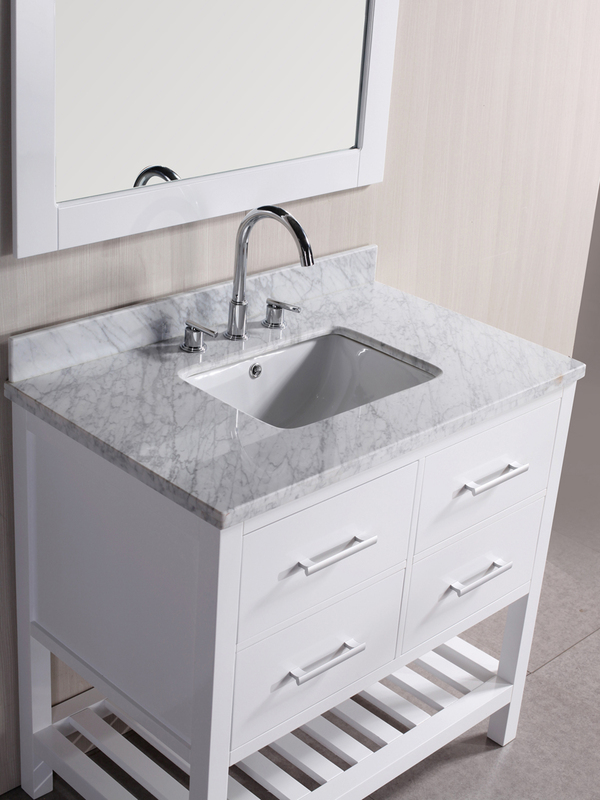 A beautiful Carrera marble counter top adds a touch of elegance to the modern design, and the satin nickel hardware enhances its contemporary appeal. 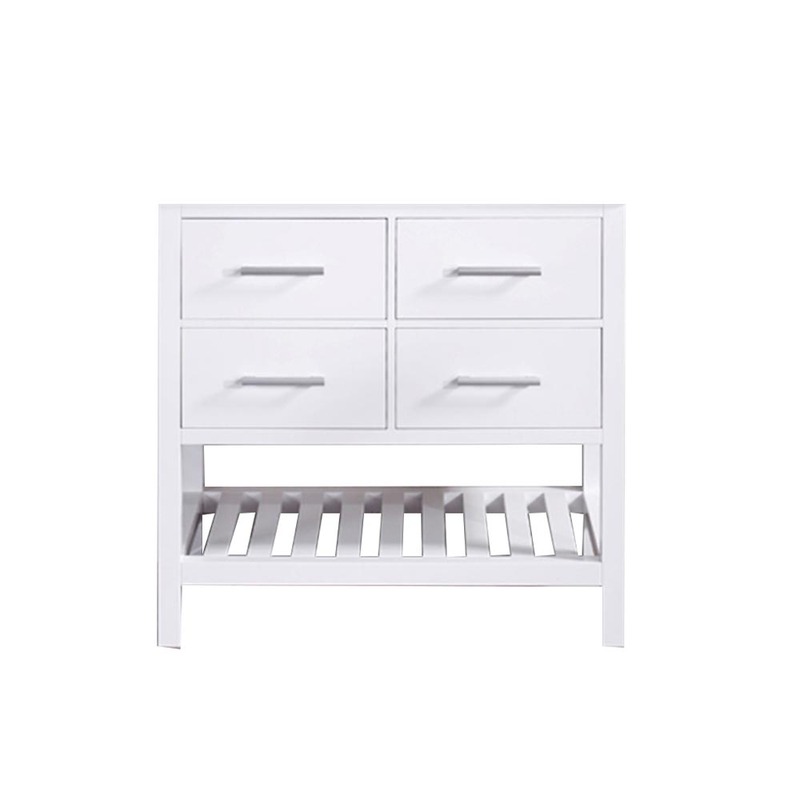 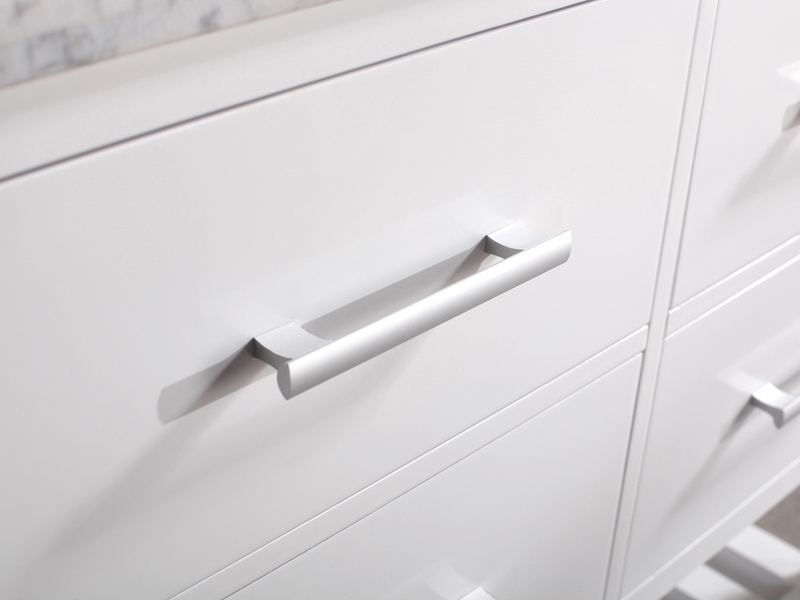 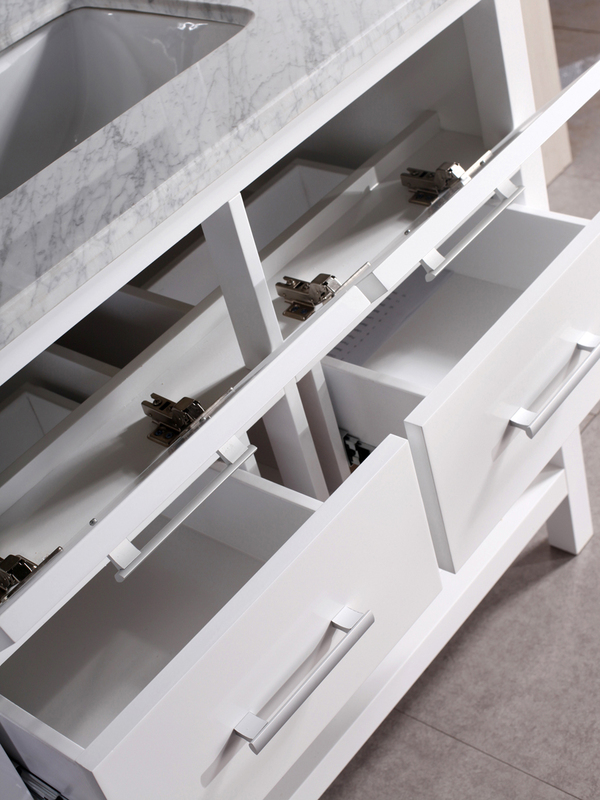 The four drawers provide plenty of storage for your bathroom toiletries and cleaning supplies, with a bottom shelf for tastefully displaying bath towels and other bath accessories.